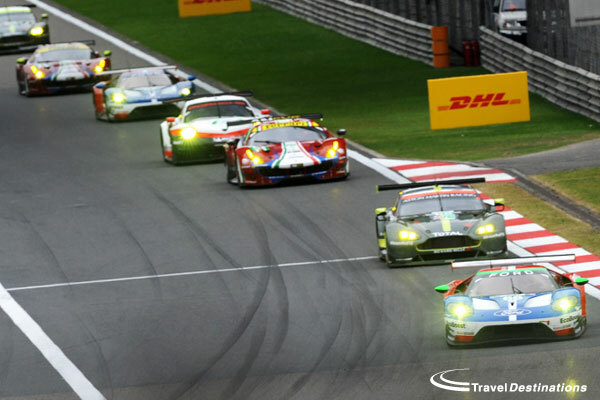 It is safe to say that the 2017 Six Hours of Shanghai was a thriller throughout, in part because the GTE Pro class produced so much entertainment. The automated Balance of Performance continues to prove time and time again to make the racing close and fair. The differences on track stem from tyre-wear and driver ability, which is how it should be. Ford took the win with Harry Tincknell and Andy Priaulx boosting their title hopes, but Porsche and later Ferrari could have taken the top step of the podium too. The driver line-ups are all world class. The cars are too – the only one looking exposed currently being the older Aston Martin Vantage, in it’s last year – and it’s only going to get better in 2018; Aston Martin will have their new car and BMW will be joining the fray. With action like this on track in GTE, whatever happens to LMP2 and LMP1 for that matter, means the FIA WEC and Le Mans 24 Hours will prove unmissable in the ‘Super Season’. The LMP2 class was always going to be close with the FIA WEC’s 2017 entry featuring near-identical ORECA 07 Gibsons across the board. However, as the teams have got their heads around the nuances of the new package, three front-runners have emerged. That means that the class competition is very close on track for extended periods of time. As the championship rolls towards a conclusion, nerves are jangling. The Shanghai race saw swings of fortune of astonishing magnitude. 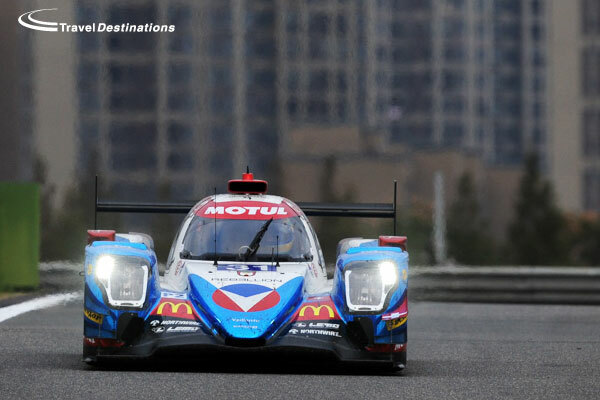 The Jackie Chan DC Racing No.38 car leading at one point, stood to leave China with a mighty 16-point advantage in the standings, but one minor slip by Ho Pin Tung saw that advantage evaporate, together with their championship lead. The Chinese-flagged team now facing the prospect of a four-point deficit, losing their lead for the first time this season. Going into the finale, all of a sudden, it’s Vaillante Rebellion’s title to lose. Beyond that, at times there was, ill-judgement and ill-temper galore up and down the order, with almost every car involved in one incident or another; In the case of several cars, several incidents. It made for a topsy-turvy competition, which some drivers will hope to forget. As the sign of a maturing ultra-high performance pro/am competition, there was plenty to savor, including for the first time this season outside of Le Mans, the regular sight of LMP2 cars re-passing LMP1 Hybrids on the long-back straight, as the factory monsters went into lift and coast. Make no mistake, these are very quick cars. The spark went out of this class after a perfect storm of misfortune through Turn 1. This effectively accounted for both Ferraris; the Spirit of Race 488 retiring, and the Clearwater example losing several laps to repairs. The rest of their day was effectively a run to claim as many points as possible. 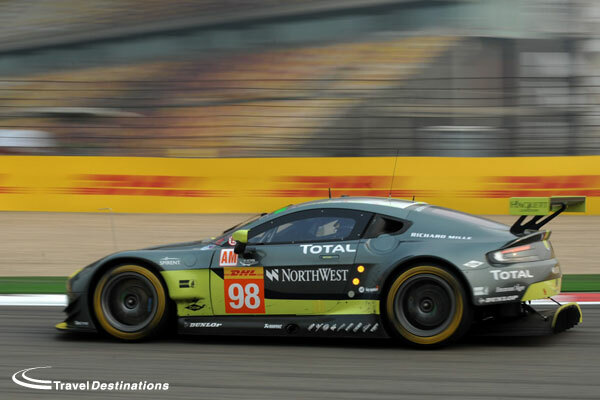 Aston Martin dominated, scored the team’s 50th win in competition, and took the lead in the championship, but the reality was that the class lacked a little something for the first time in 2017. The signs are though, that it will all change with a major uplift in the quality and numbers of teams available for selection in 2018/19. New cars, in particular the advent of the class of the 2017-spec mid-engined Porsche 911 RSR, and new teams. Watch this space. 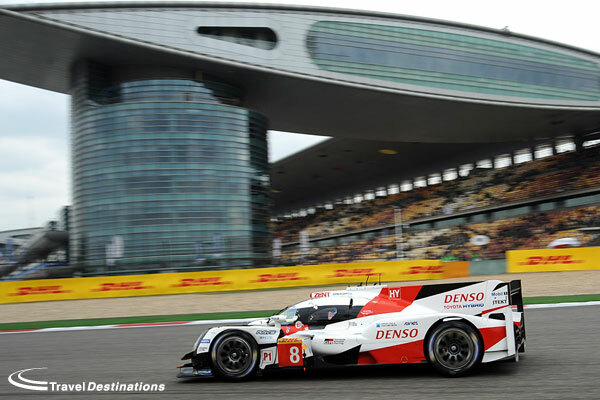 There has long been much chatter, about China’s place in the FIA WEC calendar. “Nobody comes”, “nobody cares”, “deserted stands” etc. 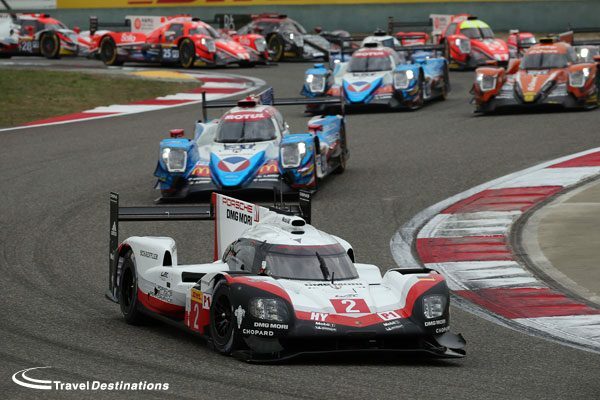 Whilst it is true to say that it is far from the most popular race in the WEC family, all of the above assertions are increasingly false and entirely incorrect. 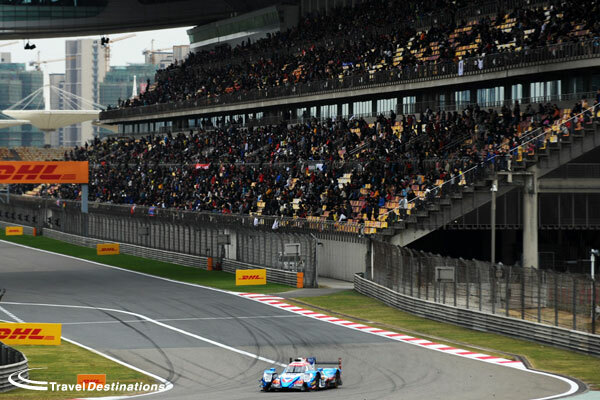 For at least the third consecutive running of the 6 Hours of Shanghai, the main stand was very well filled for the opening hours of the race at the very least. The car park too was well filled; with large groups of school children also in attendance in the stands and around the paddock. Behind the stands, there was plenty of entertainment available for the assembled masses, with manufacturer stands, sponsor displays and food, all well received by the public. In the fringes of the race meeting, there is a huge amount of commercial activity, and, this year in particular, a lot of local promotion both via the circuit and local heroes Jackie Chan DC Racing. There were special metro tickets, downtown building displays and media activity helping to boost the attendance and global pride; others on the calendar, some of which will not be returning next season, would do well to take a look.